Novel Modern decks have historically surfaced by tapping into a previously undiscovered combo card—examples include Second Sunrise, Krark-Clan Ironworks, and Amulet of Vigor. But lately, format newcomers are firmly rooted in the combat camp. It seems Modern is beginning to revolve around streamlined aggro decks; consider tribal strategies such as Humans and Spirits, engine abusers like Traverse Shadow and Hollow One, and damage outputters such as Goblins and RG Eldrazi. In this way, the Modern of today closely resembles the Legacy of the late 2000s, where aggro decks favored synergy over raw card power. This week’s Brew Report, our official second in the series, endorses that narrative. The 5-0 and Challenge-placing decklists covered here all find new ways to turn guys sideways in Modern. Format observers have long wondered about Monastery Mentor‘s absence from the Modern scene. The card is restricted in Vintage, and decidedly a player in Legacy, where it once dominated alongside Sensei’s Divining Top. But in those formats, Lightning Bolt doesn’t carry nearly the metagame share it does here. For Mentor to meet the playability bar in Modern, it would need to reliably generate value on the turn it came down—in other words, before it died. ANDGRAND cribs the solution from Vintage itself, running eight 0-cost artifacts to chase Mentor with. Mishra’s Bauble is just a cantrip, while Mox Opal promises even more impactful Mentor turns: starting with Erayo or Jace lets pilots tap out for Mentor on turn three, play Mox and make a token, and then tap the Mox for a spell to make another token. Like Monastery Mentor, Geist of Saint Traft threatens to take over the game if unanswered. It’s a shame that both threats, as well as Erayo, Jace, and Monk tokens, die to Pyroclasm. Of course, there are systems in place to protect the deck’s creatures; Eiganjo Castle saves legends from Lightning Bolt, a fast-flipped Erayo, Soratami Ascendent taxes opposing mana and spells, and Spell Pierce from the sideboard really turns up the heat on enemy interaction. Then there’s Jori En, Ruin Diver, here a poor man’s Mentor. Jori too will spiral out of control unchecked, if less decidedly than Mentor, the latter of which has the upside of actually mounting pressure. I don’t love not just maxing Mentor before going to 3 Jori, but it’s true that in lack of a two-mana legend, Jori into Mox gives player an extra mana to spend on the card they draw. As things stand, I can see this build having trouble closing out the game against combo decks before getting its engines online. Jund is far from the force some ordained it to be with Bloodbraid Elf in the format. While certain Modern players seem hell-bent on playing the deck in its purest form, OCELOT823 instead decided to take advantage of going literal hellbent, scrapping the Elf in question for the card advantage and selection package that’s served Mardu Pyromancer so well: Faithless Looting and Bedlam Reveler. There’s no Lingering Souls here for incidental discarding value, nor do Flamewake Phoenix and Bloodghast cameo from Hollow One. 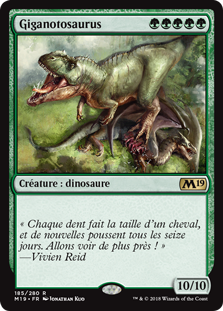 The package simply serves as a brute-force method of getting to the right cards at the right time, something Jund has struggled with since its return to the format. Bedlam Reveler, perhaps looped by Kolaghan’s Command and Liliana, the Last Hope, provides Reveler Jund with all the cards it could want should the game drag on. Reveler Jund also attacks from multiple angles. In the four-drop slot, Pia and Kiran Nalaar and Huntmaster of the Fells go small and wide, effectively complementing the rest of the deck’s focus on large beaters—even Dark Confidant takes a personal day, negating the potential for blowouts by damage-based sweepers. Critically, the token generators operate independently of the graveyard, giving pilots ways around Rest in Peace. The switch to Reveler probably helps against other midrange decks, and hurts versus combo and synergy strategies that can’t easily remove Dark Confidant. Of course, for Bob to scoop up points there, Jund has to draw it; Looting at least gives this build methods to find its sideboard cards. 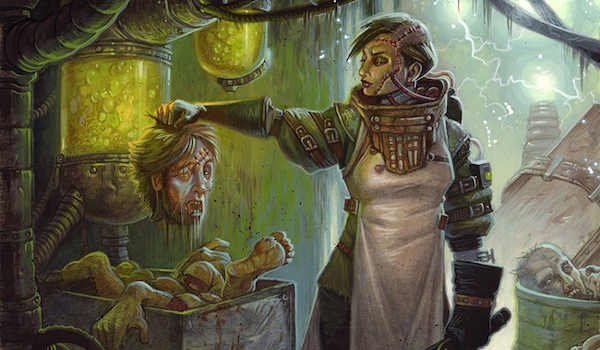 While we’ve seen GR Devotion decks before, MOX_EMPEROR‘s take gives the strategy a fresh spin. Gone is the clunky Wistful Selkie, as well as hit-or-miss enchantment Oath of Nissa. In their place? Cards that are actually good by themselves. Bloodbraid Elf gains some juicy cascade targets in Steel Leaf Champion and Runic Armasaur, making this Devotion deck less combo-focused and better-rounded. It even drops to 2 Nykthos! The deck’s top-end likewise gets a makeover, with lynchpins Genesis Wave and Primal Command finally taking a bow. Gigantosaurus can be cast during board stalls even without much mana; so can Wurmcoil Engine. A couple bigger threats in Ruric Thar and Craterhoof still appear out of respect for Nytkthos, Shrine to Nyx. But can the deck reliably find these closers? Nope! This build of Devotion plans on drawing them naturally. Devotion’s newfound aggressive capabilities make the deck better in the face of disruption, as many of its cards no longer rely on a critical mass of other pieces to function. Genesis Wave in particular was starting to look quite bad in a format so prominently featuring Logic Knot and Stubborn Denial. Of course, the deck now has more trouble going over the top of fair opponents. Another 5-0 to feature 4 Steel Leaf Champion, Cremator Evolution is an aggro deck with a combo dimension. It plays a decent fair game, but can straight up win if it draws Cragganwick Cremator and a high-curve card. ARCHGAZE leverages Eldritch Evolution to maximize the odds of that scenario occurring; the sorcery can pull Cremator right out of the deck, forcing opponents to keep a possible burn-for-15 on their radar at all times. Fauna Shaman can tutor for either half of the combo while discarding irrelevant cards, ensuring Cremator discards the desired fatty. And if all else fails, Cremator is still a 5/4. Mana dorks probably evolve into Steel Leaf Champion most of the time, while Strangleroot Geist makes up the bulk of Evolution’s diet. Geist lets it tutor up Cremator or any of the deck’s bullets. There are some neat interactions in the 75, too, like Fauna Shaman searching for Obstinate Baloth in response to discard. This deck looks extremely scattered to me, but I sill admire its scope. While my gut says Cremator doesn’t have what it takes for Modern, weirder things have happened in the format. Here’s to hoping the list develops into something I can stand to read! …to a better tomorrow battlefield. My M19 review pegged Stitcher’s Supplier as a heck of an enabler, although I couldn’t figure out what it enabled. That deck is Vengevine. Supplier milling Gravecrawler yields an instant Vengevine recursion, and the mills continue should it die. Supplier provides a welcome addition to Vengevine, which already had many of the tools it needed to succeed in Modern. Among those tools are Hangarback Walker and Walking Ballista, flexible mid-game cards that can be dumped on 0 to power out Vengevine; Insolent Neonate, which discards the deck’s namesake while counting as a creature spell; and Goblin Bushwhacker, giving the deck lines against graveyard hate. Tying it all together is Faithless Looting, consistency engine extraordinaire that slots ever effortlessly into graveyard strategies. I’d be remiss not to also mention Bridge from Below, one of Supplier’s stronger mills. With Bridge in play, blocks become nightmarish for opponents, and Viscera Seer doubles as a win condition of its own. Repeatedly sacrificing recursive creatures can create a huge battlefield even without Vengevine. But Stitcher apparently isn’t the be-all-end-all of Vengevine strategies. To really beat graveyard hate, pilots should look no further than Death’s Shadow… and Hollow One. I’ve tried mashing these two creatures together myself, albeit to less-than-ideal results. Things seem to have worked out better for ICTOMOE912, whose 5-0 list also incorporates more traditional Vengevine elements and replaces Bushwhacker with Bomat Courier. The fascinating thing about this list is how little of each component makes the cut. Shadow is supported by Thoughtseize and Street Wraith; Hollow One by Wraith and Looting; Bridge by Neonate and Bomat; Vengevine by seven one-drops and Walking Ballista. The trick: many of these cards are fine even at partial power. Temur Battle Rage mostly wins through Shadow, but 4 damage for two mana isn’t bad, either. And can you really complain about a single-mana Hollow One? As compact packages are printed and discovered, it will be interesting to see this Yu-Gi-Oh!-esque, engine-mash style of deckbuilding continue to gain footing in Modern. Expect more on this deck in the near future. But for now, know that no matter how many Brew Reports you read, nothing can fully prepare you for Modern’s infinite possibilities… and love it! The only issue I see in your review of the mentor list is that Castle doesn’t save Mentor from Bolt, it does save Jace and Jori though. Thoughts: I want delver and mentor to be a thing so badly. But those decks look so comical when facing down the raw power of the Saltworks or even staples like like Storm, AN or Amulet. This is why humans is the only synergy creature deck outside affinity to make tier 1: it’s got heaps of game against pure linear decks. Spirits tries but it’s a poor imitation. Other creature decks are trying to compete on power alone – and there’s only one dudes deck that’s good enough to play at that level: Affinity. This is because affinity is essentially a legacy list legal in Modern. 2) you need to be as powerful as Tron, affinity or linear combo. Any deck that’s ever been tier 1 has been in those camps. Otherwise you’re a fringe deck. Eldrazi stompy is sort tier 1.5 as a hybrid – powder lets you have unfair access to either the deep disruption half (fast chalice /relic into dismember/TKS) or the power half (busted fast mana hands). When you’re find a hand with the wrong half you looks silly, but I still would much prefer to play it than any of these decks except maybe the jund one. I mean the jund deck possiby just a worse jund, but it’s making the proposition that Reveler is as powerful as Bloodbraid, which while probably wrong, is far from an absurd predicate and i’d Love to run the experiment. Unfortunately, it also seems to think Faithless Looting is brainstorm, and there it is very very wrong. I do not want to play card disadvantage in my grind deck, period. Especially card disadvantage that sits on ugly spots on the curve, leans on the graveyard and has no other payoff. That Jund deck seems to be giving up card advantage early for card selection vs. the faster decks, and then scooping the advantage back up later with the Command-Reveler package. I’m not disagreeing with you about card advantage being the least important axis of consideration in Modern. Tron – Tron topdecks better than anything). I understand why people brew and it’s a great report. I just think there’s also great wisdom in the magic maxim to never just play a worse (x) deck. Nothing could convince me to play, say, fish when humans exists. Elves has a combo element and a reach element that give it a reason to be worked on. Two of these brews are trying to be tempo and that’s a good angle which is a big gap in the Modern line up…BUT There is a reason Zoo and Delver have stayed dead and it isn’t failure to find right mix. Tempo being essentially dead in Modern is a tragedy and don’t think it’s solvable without a new printing on the level of delver or cruise. Look forward to your content as always. I’d say Jund tends to lose because they bend over backwards to make the game about an axis that it’s not. Looting/Rev over Confidant at least demonstrates an understanding of what’s important in Modern. FWIW, classic Jund won the Open yesterday. As for Delver, the little guy went 13-0 before losing in the Top 8 of that same Open. If there’s a format for “worse X” decks, the numbers continue to demonstrate that it’s definitely Modern. Perhaps nothing could convince you to play a non-Humans fish deck, but plenty of other Modern players are 5-0ing with Spirits, D&T, etc. Of course, don’t take my word for it; just head on over to the mothership! Not sure what you mean by “tempo is dead” when Humans is the best-performing creature deck in the format and tempo, the in-game mechanic, is Modern’s most critical component. Would you care to elaborate?